Accompany Hercules as you vanquish beasts and rescue his wife. Accompany Hercules on a quest to rescue his wife, kidnapped by the evil Hades in 12 Labours of Hercules. You'll meet heroes from Ancient Greece as you vanquish beasts, repair roads and construct wonders in this stunning Resource Management game. No magical creatures were harmed in the making of the game -- flying horse included. 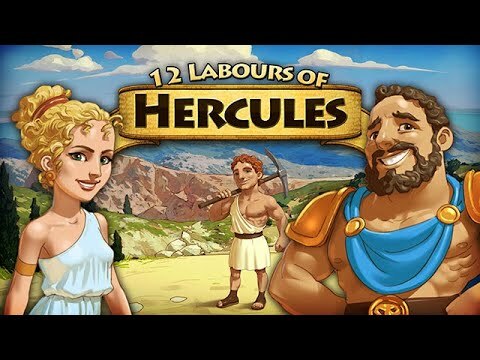 Featuring stunning HD graphics, challenging unlockable achievements and action packed mini-games, the adventures are endless in 12 Labours of Hercules.